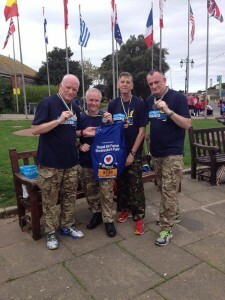 Great to see 600 Squadron is still alive and well. I served with 2600 Squadron at Biggin Hill in 1955 to ’57 when the Squadrons were disbanded. I went on to serve with 458 (LAA) Regiment RA(TA) at Sidcup) until I decided I missed the RAF. On signing on at Blackheath I asked if I could use my RAuxAF No. which was granted so I carried 2676562 throughout my career with just the prefix “L” added in the 1960’s. I served as a Ground Wireless Mechanic, then Fitter until I retired as Ch/Tech. LTech(TC). I served in Germany, Malaysia (RAAF), Singapore, Bahrain, Oman, Malta, Cyprus, Gulf States and Maldives and from the Outer Hebrides to Somerset and wouldn’t have missed any of it. I have just seen and read your website as my father, Albert William (Bill) Fairlie was a member of 601 Sqdn. as a Sergeant Pilot (R.A.F.V.R). back in the 1930’s. He was called up on the outbreak of WW11 in September 1939 but only for a short while as, at the behest of the War Dept., he was required back by his company (GQParachute Co. Ltd. in Woking.) to design a parachute for dropping military equipment . His job was later designated as a Reserved Occupation so he never saw active service. I did my National Service at Biggin Hill 1952 to 1954 as a fitter. 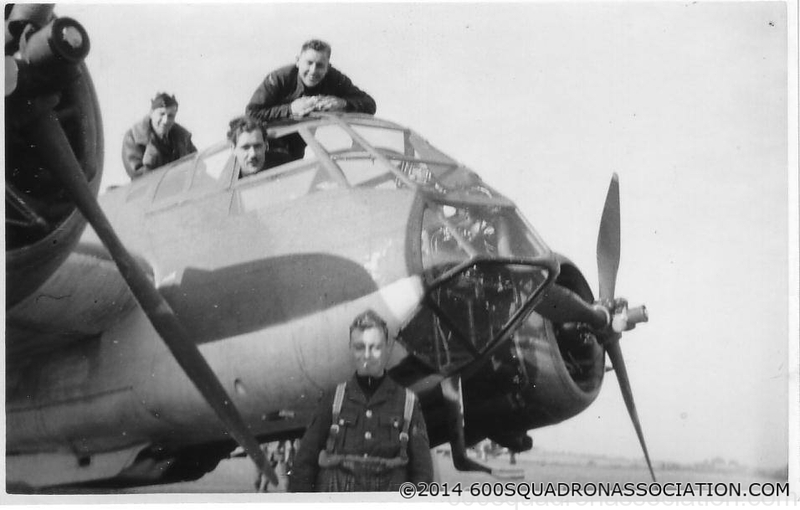 I served initially on 600 Sqn & was posted to 41 Sqn, still at Biggin, where I remained. My time was spent servicing Meteors. I look back at my time with much affection, despite the fact that National Service disrupted my young life. 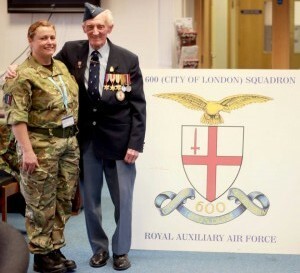 Hello , My father , Tony Oldham , was ex 601 squadron and has tried very hard over the years to contribute to keeping the old comrades association of 601 together . Very sadly he passed away today 19th April at 13.10 hrs peacefully with his family around him . If there are any old comrades who may read this and would like to get in touch my email address is chrisoldham@oldhamseals.co.uk . It is a pity that the history of the Squadron ‘Gentlemen in Blue’ is not mentioned. It is still available in bookshop and on the internet. I’m trying to find any info on detailed Operations of 600 Sqn during WW2 especially around the turn of 1944 when based in Italy. This is to research a family link , Flying Officer Harold Raymond Adams, killed in Air Operations 29.1.44 aged 20. Buried Bolsena Cemetary. As per the message above, I suggest you get hold of ‘Gentlemen in Blue’ ISBN 0-85052-575-6. There are a number of entries relating to F/O Adams. Hi, I am putting together a history of my late fathers service with the RAF but also connections after he retired. I have seen an item of correspondence dated July 2003 to suggest he may have been Secretary of the 601 (County of London) Association at some point. His name is Joseph ( Joe) Mead and lived in Althorne Essex until he died. So sad to hear about Jacqui Tennant’s passing away. I joined No. 1 MHU the same time as she did in 1985. We did the Nijmegen march together, she made all the boys look like unfit old men, always happy and keen. Trying to find out the squadron code and identity code of FD Hughes aircraft when he was flying with both 600 and 604 squadron during the war. Have only discovered within the past year that he was related to my grandfather on my father’s side. Any assistance in this matter would be greatly appreciated. Just to let you know my father Flt Lt John Goss (94) who served 1942-1947 is in good health living in Pembrokeshire West Wales. 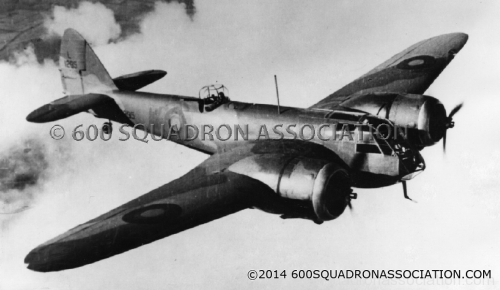 He was navigator in Bristol Beaufighters 600 Squadron serving in North Africa, Italy. His pilot was Flt Lt Len Wakeman (Canadian) and commanding officer was Wing Commander Paddy Green. Deputy was squadron leader Horn.